If you are a regular watcher of Wheel Of Fortune TV Show then you might be interested in their sweepstakes, contest & giveaway too. 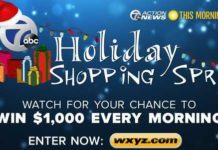 Whether you want to participate in their Holiday giveaway, Christmas giveaway, Disney Contest, Cruise Sweepstakes, Secret Santa sweepstakes or any other giveaway from Wheel Of Fortune. 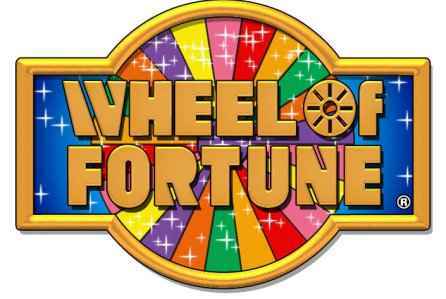 In this post you will find All Wheel Of Fortune Sweepstakes 2019 list so that you have an amazing chance to Win free trips, Cash Prizes, Cars, Gift Cards and even more big prizes from Wheel Of Fortune. Description: Enter for a chance to win a 13-day, 11-night dream vacation for two people to Portugal. Note: Wheel Of Fortune Bonus Puzzle Solution Available. Description: Enter the WOF contest now for your chance to win cash, gift cards, merchandise, trips, cars, or other items as are awarded on the Show. Note: Wheel Of Fortune Spin ID Number Available. Description: Enter the wheel of fortune contest now for your chance to Win a luxurious tennis vacation to a Greater Palm Springs resort! Trip Includes: Round-trip coach air class transportation, Hotel accommodations & $500 spending cash money. Start Date: June 4, 2018. Ends Date: June 9, 2018. Description: Enter the WOF contest now for your chance to win a five-night Walt Disney World Resort package for four. Trip Includes: Round-trip, Disney Gift card, Hotel accommodations. Start Date: April 30, 2018. Ends Date: May 05, 2018.